Allan's tremendous knowledge in trust and estates has been long recognized by his peers as he was elected a fellow of the prestigious American Counsel of Trust and Estate Lawyers. He has been listed in Best Lawyers in America since 1982 as well as being included in Michigan Super Lawyers. Hence, he often provides expert witness testimony on matters of estate and trust administration. Born in Battle Creek Michigan, Allan is a United States Naval Academy alumnus and received his juris doctorate from the University of Michigan in 1969. Throughout his career, Allan has been active and held key leadership positions in many legal, business and community organizations. His contributions include serving terms as chairman of the Estates and Trusts Committee, Legislative Committee of the Probate and Estate Planning Section for the State Bar of Michigan. He also completed terms as Director and past president of the Ingham County Bar Association. 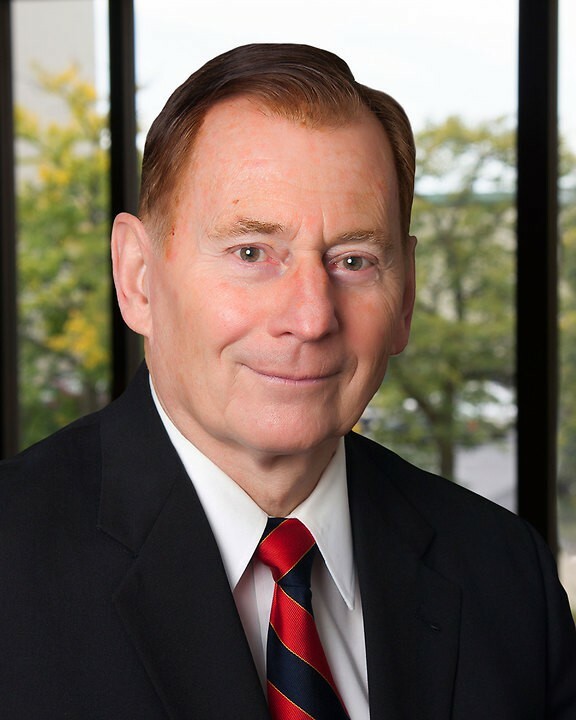 Additionally, Allan is a fellow of the Michigan State Bar Foundation, a former chairman of the Ingham County Bar Estate and Trusts Committee and a former President and Director of the Greater Lansing Estate Planning Council. He is also a member of the International Bar Association and the International Academy of Estate and Trust Law. Allan's input has been requested by several statewide and local non-profits too. He is a past member and Chairman of the Michigan Tax Council and a former Director of the Michigan State Chamber of Commerce. Allan’s other activities have included membership in the Rotary Club of Lansing, past Chairperson for the American Red Cross’ Mid-Michigan Chapter and Great Lakes Regional Blood Center, former Director of the Greater Lansing Symphony Association and past Chairman of the Greater Lansing Family Affairs Month Committee.